A warm and friendly welcome awaits you on your Haggerston Castle holidays at this 5 star Park which is part of the Haven Group. The local people are happy to please and the atmosphere is one of complete relaxation for you BUT not forgetting the children's amenities too, there is still plenty to occupy them on this Haven park, from family putting green to swimming in the indoor or outdoor pools. Haggerston Castle is set around several lovely lakes, with award winning landscaped gardens and boasts spectacular scenery. 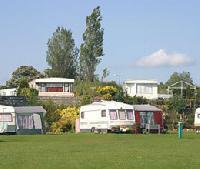 Haggerston Castle also holds the David Bellamy Gold Award for Conservation making it an ideal choice for caravan hire. There is a lot to do too, you aren't just confined to the site - There is Newcastle to visit with its cosmopolitan feel and history too. Similarly head further into Edinburgh and see the many attractions that this fine City has to offer. Fairly close to Haggerston Castle is Alnwick and Bamburgh too offering many interesting sights for those that love to explore. Head to the coast and see the seals and their pups when the calving season is on - a must for nature lovers. Caravan hire at Haggerston Castle puts all this on your doorstep. Why not take advantage of what the site has to offer too, with the pleasant and friendly Clubhouse to while a way a pint or two with regular cabaret shows, fun nights and quizzes etc and not forgetting Haven - Haggerston Castle own Rory the tiger and Bradley bear. The site is there for you to enjoy to its fullest and have one of the best Haven holidays you can.